Ciaran Gallagher; Ethan Boyle, Damien McNulty, Keith Cowan (Packie Mailey 60), Ciaran Coll; Michael Funston, Gareth Harkin, Sean Houston, Barry Molly (Dave Scully 75), BJ Banda (Tony McNamee 60); Ryan Curran. Brendan Clarke; Ger O'Brien, Darren Dennehy, Michael Barker, Ian Bermingham; Conan Byrne, Mark Timlin (Billy Dennehy 84), Graham Kelly, Lee Desmond; Jamie McGrath (Darragh Markey 88); Christy Fagan (Dinny Corcoran 71). 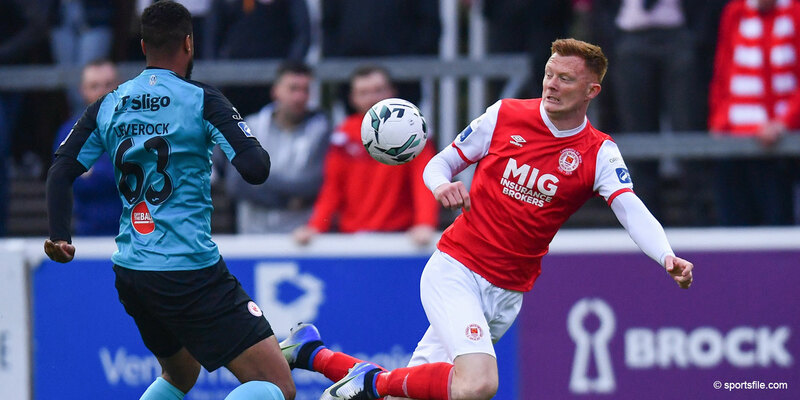 Finn Harps edged closer to Premier Division survival as they fought back to earn a 1-1 draw with St Patrick's Athletic at Finn Park. Mark Timlin had initially handed the advantage to the Inchicore side on 64 when he tapped Conan Byrne's cross into the Harps net. 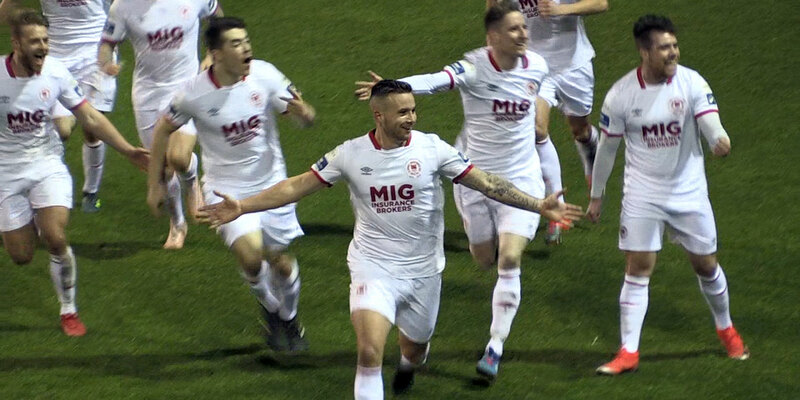 However, the home side battled back to level the game in the second of ten added minutes at the end of the game, Sean Houston volleying Tony McNamee's corner past Brendan Clarke as the Saints struggled to deal with a late Harps onslaught. The Ulstermen now sit nine points clear of Wexford with three games remaining, while Youths have four yet to play. Harps came into this tie in the knowledge that a second win in five days would go a long way in confirming their place at next year's top table. Ryan Curran threatened for the home side early on, but saw his effort from the edge of the area roll past Clarke's post in the opening seconds. The Saints put together some nice patterns of play but their first real chance didn't arrive until the 20th minute. Jamie McGrath threading the needle as he laid a great through ball into the path of Timlin who side-footed narrowly past Ciaran Gallagher's far post. Gallagher was comfortable with Byrne's frail effort moments later while Timlin could count himself a little lucky to be still on the pitch on 25. Referee Ray Matthews deciding to only show the Buncrana man a yellow card following a heavy, awkward tackle on Gareth Harkin. 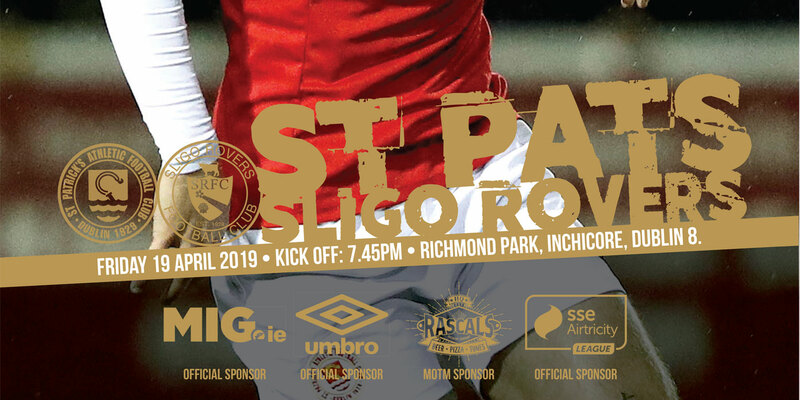 Saints' talisman Fagan fired wide from a goal scoring position just past the half hour as Pat's continued to look the more likely to find an opener. The striker was picked out by Byrne, but could arrow his effort wide of the target at the angle. Some great skill on the ball saw McGrath dance past Damien McNulty at the edge of the Harps area seven minutes from the break. His follow up wasn't as successful however as Gallagher plucked his attempted lob from the air. Gallagher had to be alert eight minutes into the second period when he was forced into a reaction save to keep out Byrne's deflected corner. The game was stopped for seven minutes when Keith Cowan seemed to turn awkwardly as he caught his studs in the Finn Park turf. The Harps defenders was subsequently stretchered off and escorted away from the ground for further treatment. Things didn't get any better for Ollie Horgan's side shortly after. Byrne was allowed ample time and space down the Harps left before he found the run of Timlin. The former Derry man turning the ball home from close range as he made his way, unmarked across the face of the Harps goal. McNulty tested Clarke with a headed effort from a Tony McNamee throw-in on 70 as the north westerners pushed for a leveller. Substitute McNamee saw his twisting free-kick sail narrowly around the post with Clarke beaten all ends up six minutes later after Michael Barker felled Harps skipper Ciaran Coll. While Byrne went just as close at the other end 60 seconds later with his thumping 20-yarder. Harps endeavoured and were rewarded in the second of ten minutes added on at the end of the game. McNamee's corner caused panic in the Pat's area before the ball fell to the loose Houston who rifled the ball past Clarke for his third goal in two games.